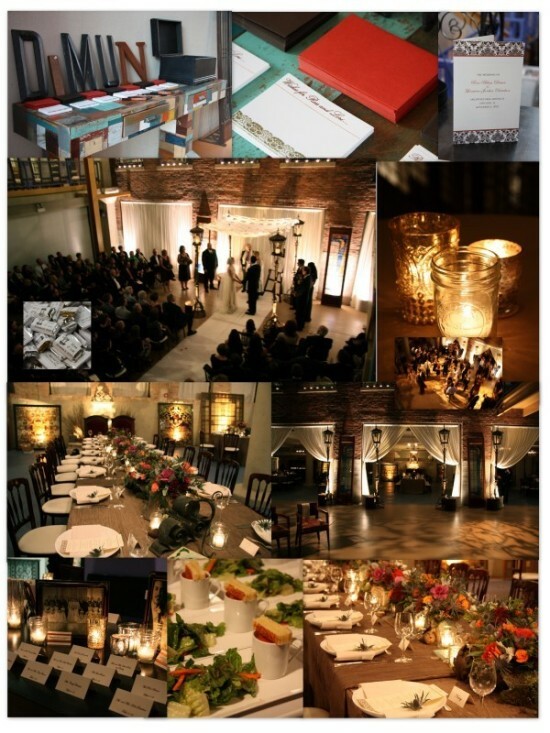 When an event planner named Lori gets married at Architectural Artifacts on November 6, 2010, what does she do? Why, hire another event planner named Lori to help her pull things together for her big day! And what an event it was… From the gorgeous eclectic tables featuring textured linens, flowers and containers, to the branchy dance floor lighting and the custom print goods that were right on trend for 2011. However, I think my favorite part of the evening may have been the Father/Daughter dance. It brought me back to my “head banging” days with a little GNR “Sweet Child of Mine.” How fun is that? Congratulations Lori & Ross Dimun!